The government of Prime Minister Sergei Stanishev survived a no-confidence vote over what the opposition sees as "unprecedented involvement of power-holders with organized crime", BTA reported. The motion was defeated by 117-82 votes, with 35 abstentions. Among the abstainees were all MPs of the Simeon II National Movement (SNM) even though their party is in the government coalition together with the Bulgarian Socialist Party and the Movement for Rights and Freedoms. This has been the fifth no-confidence motion against this government since it took office in the summer of 2005. The first no-confidence motion was filed on 19 April 2006 after a period in which Bulgaria was hit by heavy rainfalls and flooding, and people accused local authorities of not taking adequate measures. The second motion was voted 22 February 2007 over severe problems of the health care system. 92% of Bulgarian citizens are not happy with the health care system in the country, official statistics shows. 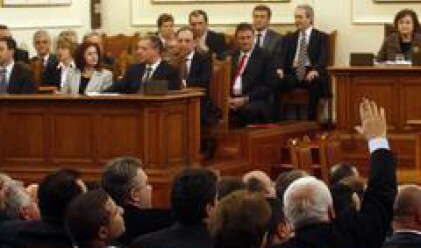 The third no-confidence motion on 16 October 2007 followed the longest strike in Bulgaria – that of the teachers. Another motion was filed on 22 February over corruption.